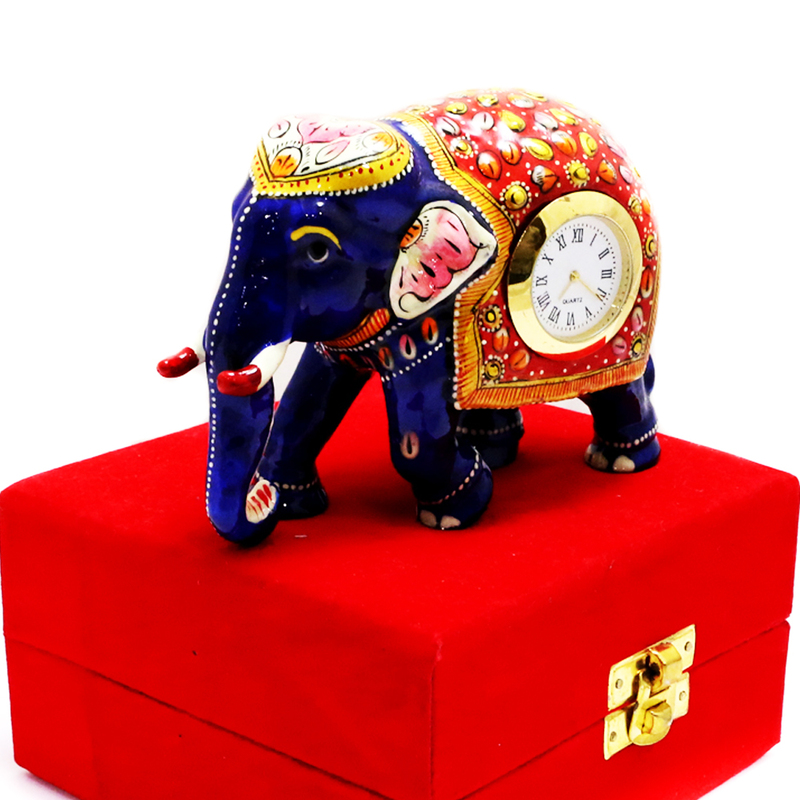 The entire body of this tending elephant has been suggested with stone and meena designs. 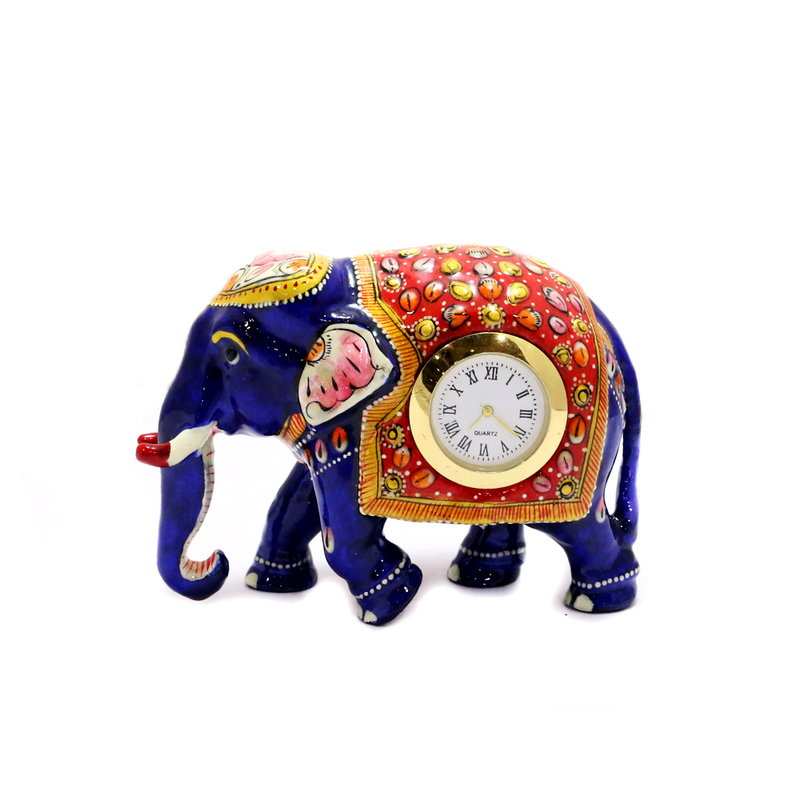 The royal blue colour of the body of the elephant Read More..is almost obscured due to the rich design work. this elephant has its trunk swaying all the way down. Show Less..